Welcome to my home town, Wilmington North Carolina. Wilmington is one of most in demand areas on the East Coast due to our amazing waterways, beaches, historic downtown, riverwalks, golfing, movie industry and much more. I’ve lived in Wilmington all my life and even graduated from the University of NC at Wilmington after attending Wilmington Christian Academy. The changes I’ve seen in my lifetime are staggering and the diversity our area has is one of the most fluid in the world. 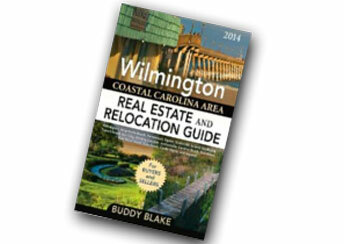 If you are serious about possibly moving to the Wilmington area I highly recommend you read our latest 300+ page “2015 Wilmington Relocation and Real Estate Guide” which you can purchase on Amazon.com OR if you will allow us the privilege to serve you I will send you one free of charge. To get your free copy simply email me at buddy@buddyblake.com and let me know where I should mail it and a little info about your situation so we can serve you in the best possible way.